Students rehearse for the annual Celebration of Diversity show. Education in America remains deeply segregated. But at the same time, there are more students of color than ever before. In 2014, for the first time, minority students made up over 50% of public school enrollment. One district that’s seen those shifting demographics first-hand is Plymouth-Canton Community Schools. And it's been intentional about creating an environment where students and families from all backgrounds feel welcome. 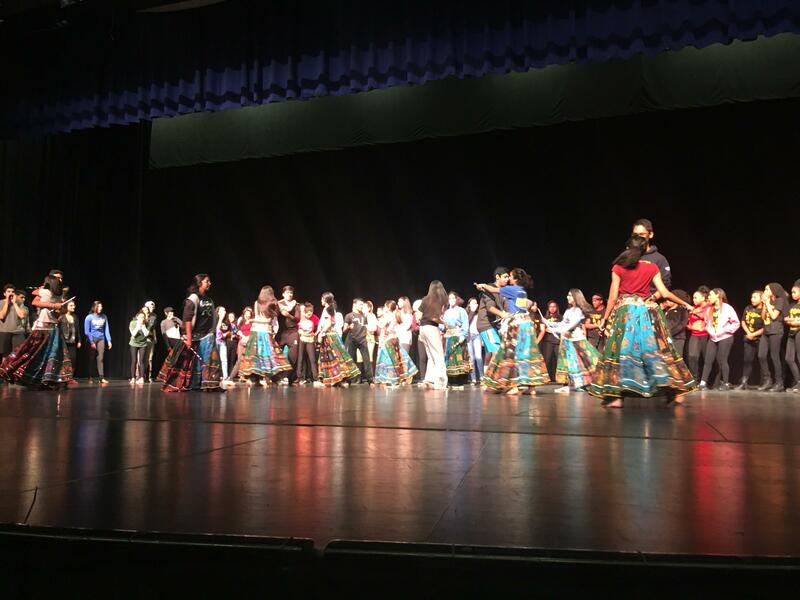 One place you can see the district's growing diversity on full display is at the annual Celebration of Diversity show, which features music, dance and poetry. At the dress rehearsal, dozens of students gathered on stage with costumes pulled on over their school clothes. The line-up for the show includes an Indian Bhangra dance performance, a routine from the school's step team, and a classical Chinese fan dance, among others. The district hasn't always looked quite so diverse. Over the past 20 years, Plymouth-Canton has gone from an almost all-white district to one where around 30% of the students are minorities. There are now more than 60 world languages spoken in schools here. Rather than see this change as a challenge, the district saw it as an opportunity. They started investing heavily in professional development to train their teachers in culturally proficient instruction. Students at Dodson Elementary learn about the traditions of Chinese New Year from their teacher Paulette Mallia. That means making sure there are books with diverse characters in the library, and that teachers incorporate the history and culture of all their students into lesson plans. Parents here have access to interpreters so they can participate in school activities, too. 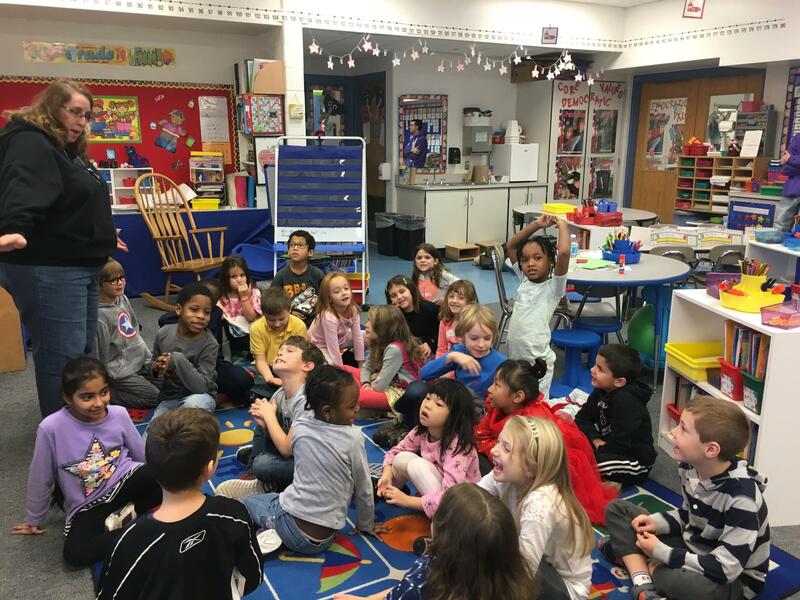 Another key part of the district's strategy for creating a welcoming environment is empowering students to lead their own conversations about race, culture and diversity. One place you can hear those conversations playing out is at Borderless Club. The mission of this group is to try and break down some of the barriers that exist between students at the district’s three high schools. Over lunch, a group of around a dozen high school students talk about everything from white privilege to Asian stereotypes to their weekend plans. Maiya Felan is one of the club's founding members. She says just because the students at Plymouth-Canton are diverse doesn’t mean the schools are really integrated. If you really want students from different backgrounds to understand each other, she said, you have to roll up your sleeves and do some work. That means having tough discussions about the role race and culture play in America. “We have to find ways to speak to each other and connect with each other. I think, if anything, to bridge the gap between people, they have to start out doing just what we did, which is just sitting down and talking about it.” Maiya said. Right now, the club is planning a series of social justice activism workshops to share what they’ve learned with other student groups. Maiya said they plans to eventually bring the workshops to elementary and middle schools, too. Khadega Mohammed is a fellow Borderless Club member. She says activism is an important tool for social change, but she thinks personal interactions can be just as powerful. Khadega's family immigrated to Minnesota from Sudan ... and then moved to Michigan when she was in 7th grade. During her first year here, she was the only girl in her school who wore the hijab. One day, her gym teacher came up to her and told her she should take off her hijab during class. It was getting in the way of her running, he said. “And I was like, 'Listen this is part of my religion,'" Mohammed said. "'This is not just a cloth on my head. It is much deeper than that. I can’t take it off or put it on.'" The next quarter, Khadega had swim class with the same teacher. For modesty’s sake, she sat out on a bench beside the pool. And then something surprising happened. Her teacher started sitting beside her and asking her questions about her Muslim faith. There isn’t an easy fix for segregation in American schools. But maybe there are some lessons to be learned from students like Maiya and Khadega. As the country’s public schools continue to change, it isn’t enough to just look diverse. We have to really listen to each other and be willing to have uncomfortable conversations. If we do, the diversity in schools could teach students how to bridge the divides beyond their classroom walls, too.